"...the superb soprano Nell Snaidas." "Nell Snaidas brought a beautiful soprano voice, a superb sense of line and a gift for physical comedy to the roles of Amore and Valletto"
"And vocally, the ravishing moments were many: Nell Snaidas, who proved a brilliant comic actress in “Poppea,” switched gears to give a wrenching account of “Lamento Della Ninfa". "And speaking of high notes, Nell Snaidas was the soprano of the evening and brought down the house with her "Glitter and Be Gay." She is a brilliant soprano"
"Among the highlights were Soprano Nell Snaidas' period-correct renditions of "Dido's Lament" and "Bist du bei mir", both of which transcended history with heartfelt music making"
Nell Snaidas, the soprano, gave an emotionally charged reading of Scarlatti’s chromatic score, using carefully controlled dynamics and florid but thoughtfully applied ornamentation to evoke Orpheus’ desolation as it is transformed to determination. Ms. Snaidas has a sweet, tightly focused sound, and she has no hesitation about using vibrato, sometimes lavishly but always expressively. She invariably brings a clear sense of the drama within the music to her performances and inhabits her characters, even on a stage as small as Bargemusic’s (perfect for this music). Ms. Snaidas used both timbre and body language to convey coquettishness, frustration, anger, satisfaction and amorousness. Her account of Mazzocchi’s “Sdegno Campion” (“Anger, That Bold Champion”) was forceful but nuanced, and she brought melting passion to both Caccini’s “Amarilli” and Henri du Bailly’s “Yo Soy la Locura” (“I Am Madness”). "That and the soprano Nell Snaidas’s direct, beautifully modulated performance of the Purcell were probably the program’s highlights. But there were close contenders... Ms. Snaidas sang Monteverdi’s “Quel Sguardo Sdegnosetto” and Stölzel’s “Bist Du Bei Mir” with the same suppleness and warmth that she brought to the Purcell." "Madamoiselle Cunegonde, played and sung masterfully by Nell Snaidas... anchors the production with great vocal abilities, comedic timing and commanding stage presence." "Soprano Nell Snaidas, who is picture perfect as Cunegonde, has a set of pipes on her that won't quit. Her "Glitter and Be Gay" is terrific." Soprano Nell Snaidas made her first appearance last weekend with Viscera and provided the best singing heard in both evenings. Her vocal control delivered just the right opulence for this early/middle Baroque period, plus it should be recalled that Snaidas appeared in two Early Music programs last summer. After dominating in a sequence with the title, "Punishments, Minor and Major" and the song "Galeritas de España," Snaidas highlighted the evening with — as translated: "Old Ballad of the Confession of a Lady Accusing Herself of Breaking the Ten Commandments," by Luis Briçeño from 1626. Nell Snaidas is welcome back any time — with any group. 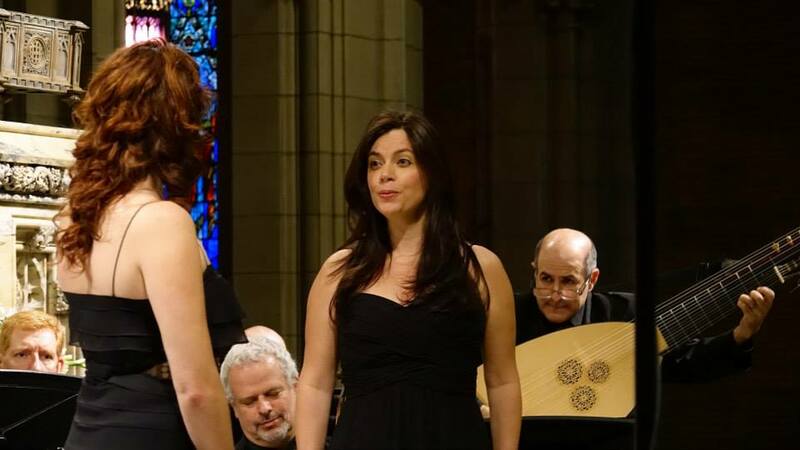 Soprano Nell Snaidas returned to the Early Music Festival from two weeks ago — once again to dominate the singing with her rich but beautifully controlled delivery — far above that of her colleagues, who otherwise would be viewed as excellent Baroque singers. Various vocal pieces, ranging from lute songs by Thomas Campion to bawdy broadside ballads, were sung by soprano Nell Snaidas. Ms. Snaidas has a lovely clear voice, charismatic stage presence, and a stunning control of technique, which she often used to highlight the text. Under the direction of Eddie Mora the orchestra of Heredia performed at the National Theater in San Jose with American soprano Nell Snaidas singing Exsultate Jubilate by W. A. Mozart. The warm and distinctly clear timbred voice of Nell Snaidas was heard with well modulated phrasing and expressive musicity. Furthermore, in the final Alleluia the soprano tossed off the difficult melismas with great aplomb. "Nell Snaidas, singing both Love and Valletto (Ottavia's page), brightly captured the impulsive, lusty adolescent quality of both characters"
" soprano Nell Snaidas lent blazing virtuosity and a wealth of expressive colors to alluring songs. In one, Virgilio Mazzocchi’s “Sdegno, campion audace,” Snaidas spit out the first word (translation: disdain) and proceeded to fly through the florid material up to a brilliant high C. Elsewhere, she was piously irreverent (Luis de Briceno’s depiction of a woman who breaks all 10 commandments, reconstructed by guitarist Grant Herreid) and deeply affecting (Luigi Rossi’s “Lamento di Euridice”)." "Soprano Nell Snaidas brought flair and sharply differentiated feeling to her singing, which included a lament and a fiercely dismissive song. She was duly subdued in a drolly humorous song about a woman confessing to breaking all Ten Commandments out of romantic passion -- well, nine really, but she also confesses to feeling no repentance." "It started with the spot-on, theatrical singing of soprano Nell Snaidas. Opera and madrigals didn't have the stranglehold on dramatic and comedic song at this time, and Snaidas tapped into an expressive and sultry manner in such works as Benedetto Ferrari's "Amanti, io vi so dire (Lovers, I can tell you)," Luigi Rossi's "Lamento di Euridice" and Luis de Briceno's hilarious "The Ten Commandments," about a young woman who breaks all of them because of a man she loves. Her voice was resonant with a slightly dark timbre, yet nimble to navigate all manner of runs and ornaments." "Both Amore and the bratty (later incessently randy) Valletto were sung by Nell Snaidas, in a comic tour de force. While her Amore ran the risk of jumping beyond the sprightly into the hyperactive, she pointed her gestures and her vocal acting so well, that her energetic gesticulation consistently made its point. As if her funny and engaging portrayal of the amoral boy-god weren't enough, Snaidas threw herself into Valletto with equal energy and wit—an equally broad and daring portrayal which never failed to add to the good spirits of the production, as obnoxious an adolescent as Valletto is. On the other hand his physical arousal in the presence of Damigella, and his gradual discovery of its nature, was charming in the warm-heartedness of the naughty little scene. Not much later the same impulses drive the page to annoy Drusilla in an equally amusing incident. In both roles, Nell Snaidas makes the best of her brilliant, well-rounded soprano, using comic distortions with restraint and a purpose." "The large cast of 15 singers, who often doubled over the 25 roles, was superb. Everyone sang the long lines that were heavily ornamented with florid scales, trills and other coloratura gymnastics with elegance and supreme confidence...and soprano Nell Snaidas as Cupid/Valletto (Ottavia’s page) brought many laughs from the crowd. "In a performance marked by bright singing and intuitive acting, Snaidas looked and sounded great on stage in a rewarding double role as Amore and Valletto, Ottavia’s saucy page." "One of the most successful aspects of this production was the palpability of the characters. In addition to being top-notch singers, the cast was constantly teeming with persona, humor, and pathos- especially in the moments featuring Holger Falk or Nell Snaidas"
“Also singing in the concert was the brilliant Nell Snaidas, who is a super-high soprano with an unbelievable tone. Her voice is so glorious." "Last, but not least, enchanting soprano Nell Snaidas provided amazing ornamentation." "Snaidas' singing was a refined moment to be savored." "Nell Snaidas is a soprano of unusual gifts – her clear voice and impeccable diction float through the performing space as if carried on the wings of angels. Her luminous dark eyes flash joyously as her smile illuminates the music in enchanting fashion. At times, she’s an invigorating guitarist, as well."